This year, Z-arts is running a Festival Appeal that aims to offer a magical Christmas trip to the theatre to every Manchester child in care. By asking for donations from the public and working with a variety of support organisations, Z-arts will offer children in care or who have experience of being in care a free night out at the theatre with their foster carers and/or support workers. 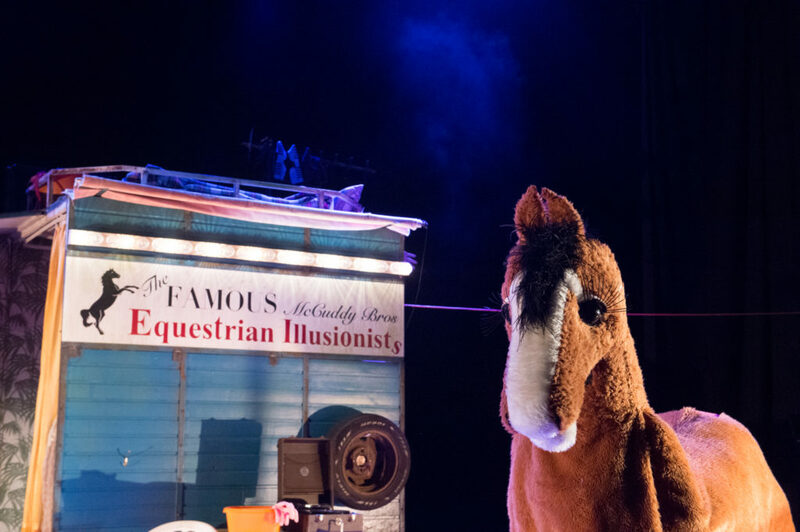 All the young people will enjoy free arts and craft activities before being whisked away into a hilarious and heart-warming re-imagining of Black Beauty. Z-arts is taking on the national Big Give Christmas Challenge to make the Festive Appeal as successful as possible. Between Tuesday 27 November and Tuesday 4 December, every donation made to the Z-arts Festive Appeal through the Big Give website will be doubled, so the impact of one donation will have twice the effect. Any donation you are able to make is gratefully received and will help us make happy memories that will last a life time. Donations for the Big Give Christmas Challenge must be done through their website.